Founded in 2014, Cinemaxx operates 45 theater complexes with 235 screens and growing across Indonesia. 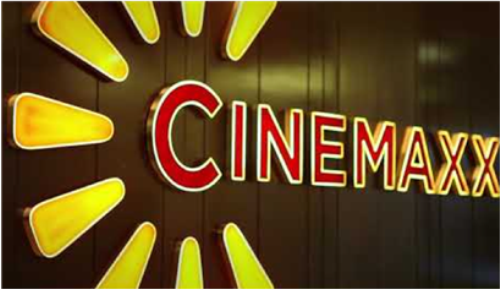 As part of their growth expansion, Cinemaxx identified CIELO’s Machine to Machine (M2M) technology as a turning point in a new era of theater operations, allowing them to proactively manage their business with unmatched mobility and real-time visibility. After months of trials and testing with several competing vendors, Cinemaxx chose CIELO for several key reasons, among them the cutting-edge automated and highly mobile management capabilities of CIELO which allow Cinemaxx to cover a vast geographic area that would present a challenge to service physically. This, in turn, generates greater efficiencies for Cinemaxx, resulting in cost savings from on-site tech time and prevention of potential loss shows. The alliance between CIELO and Cinemaxx marks a new milestone as Indonesia becomes the latest new territory where CIELO operates, now with over 12,000 screens and 20,000 devices across the world. Since its inception in 2014, Cinemaxx has rapidly stamped its presence across Indonesia’s cinema industry, operating modern world class cinemas in 31 cities, with 45 cinemas and 236 screens. The company deploys the very latest cinema projection, sound and content management systems and is progressively adopting the latest technology to serve its millions of guests. Cinemaxx offers a full range of cinema concepts including its innovative kids cinema brand “Cinemaxx Junior”, a state of the art premium large screen format called “Ultra XD”, and its very own luxury cinema offering known as “Cinemaxx Gold”. The chain aims to bring innovations in guest experience through new concepts in food and beverage, cinema advertising, guest engagement, and exciting promotions. About Cinemaxx: Cinemaxx is poised to be one of Indonesia’s largest and most preferred motion picture exhibitors with more than 1,000 screens and 150 locations planned across 77 cities. Combining state-of-the-art technology with first-class amenities, Cinemaxx will provide an unparalleled entertainment experience to moviegoers across the nation. UltraXD, the giant-screen format of Cinemaxx, is designed to take the Indonesian cinematic experience to the next level by providing moviegoers with an immersive audiovisual experience. Patrons can also experience the epitome of luxury at Cinemaxx Gold, Cinemaxx’s VIP offering, replete with lavish recliner chairs and gourmet F&B offerings served by attendants on call.